Since at least 2010, taxpayers living in the United States and in foreign nations have heard one steady message regarding foreign bank and financial accounts: disclose or face penalties and potential prosecution. Unfortunately, not all taxpayers have received this message. At least some taxpayers still seem to believe that the rules do not apply to them or do not reach them. Therefore, there is no reason for them to consider their compliance status. Such an approach to FBAR and foreign account disclosure obligations is dangerous and becoming even riskier. In light of an array of reporting requirements faced by foreign nations and foreign financial institutions, U.S. taxpayers can no longer rely on their account remaining secret from the IRS or other government regulators. Taxpayers who fail to comply with FBAR will continue to face an elevated risk of discovery as additional international governmental agreements authorizing tax and financial information sharing come into effect. 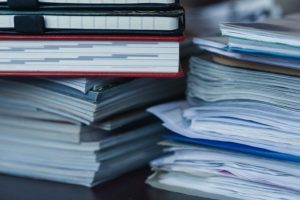 When Do I Need to Make an FBAR Disclosure? The obligation to file a Report of a Foreign Bank Account (FBAR) is a longstanding obligation that has been on the books for decades. However, until recently, the obligation was rarely enforced because there was no penalty for noncompliance. However, in the late-2000s, a penalty was implemented. In fact, very serious penalties were implemented for all forms of FBAR noncompliance. Even a person who accidentally fails to file FBAR can face a penalty of up to $10,000 for each year where noncompliance existed. Generally, the obligation to file FBAR exists when a U.S. taxpayer holds foreign accounts containing more than $10,000. The funds can be held in a single account or they can be aggregated across multiple accounts to reach the $10,000 threshold. However, because $10,000 is a relatively modest sum of money for expats and other people living overseas to have in a bank or other financial account, most expats living abroad will have an obligation to file FBAR and potentially other foreign account disclosures. How Can I Fix FBAR Noncompliance? If you fear that mistakes, errors, or a simple lack of awareness caused FBAR errors or oversights there is good news. Taxpayers living abroad who can qualify for the Streamlined Disclosure Procedures can come back into compliance with U.S. law without facing fines or penalties. 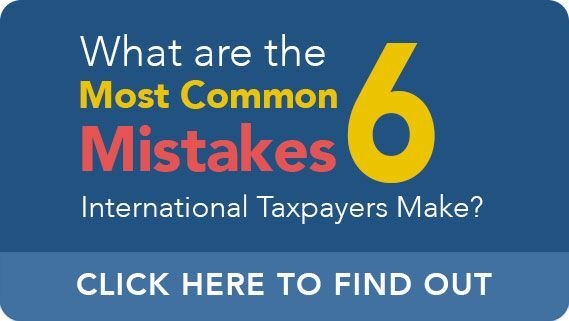 This is because the IRS has developed a Streamlined Disclosure program specifically tailored for expats and other U.S. taxpayers living outside of the United States. Under the Streamlined Foreign Offshore Procedures, a taxpayer must be able to qualify as a non-resident who did not make required foreign account disclosures. Furthermore, the conduct that resulted in these compliance failures must have been “non-willful.” This means that you did not intend or endeavor to break the law; but rather, made a mistake or error. Individuals who can qualify under these terms, can fix their noncompliance and come back into full compliance with the U.S. Tax Code and other laws. How Do I Get the Benefits of Streamlined Foreign Offshore Disclosure? To obtain the benefits of the Streamlined Disclosure Procedures, a taxpayer must make certain filings with the IRS. He or she must submit original or amended tax returns for the three previous years. These tax returns should be accompanied by any supplemental filings that would otherwise regularly be filed. For instance, a taxpayer may need to include Form 8938 for FATCA disclosures with the filing. The taxpayer will also be required to sign a statement under the penalty of perjury that they did not willfully violate tax law. If your disclosure has tax impacts, and it’s likely that it will, the taxpayer must also request relief from the IRS. This can be done by requesting an extension of time to make an election to defer income tax and identify the applicable treaty provisions. In addition, the procedures require the taxpayer to provide a narrative regarding how he or she made their foreign disclosure error. The statement should describe the events that caused the failure, how the taxpayer discovered the non-compliance, and any professional advice you may have received. If you are worried about FBAR penalties or fines, CPA Ted Kleinman may be able to help. He has workers with U.S. taxpayers living at home or abroad for decades. To schedule a consultation, please call (541) 923-0903.